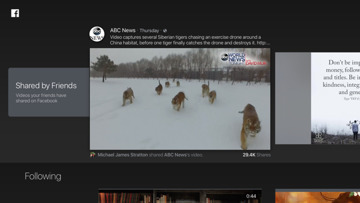 Facebook has recently launched its Videos app for the Apple TV, providing shared videos to users freed from most of the commentary the social network provides —AppleInsider examines the offering. 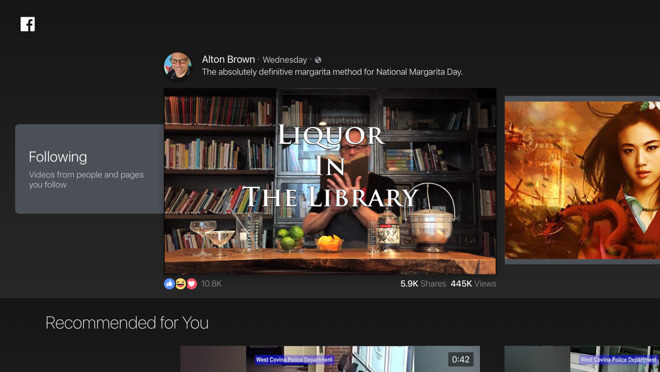 Revealed in early February, and launched on Tuesday, Facebook Video is a free app for the fourth generation Apple TV, with an emphasis on video shared across the social network. 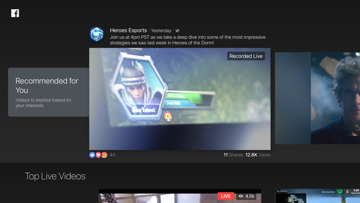 The app pulls videos from user feeds presented mostly without user commentary beyond emoticons. 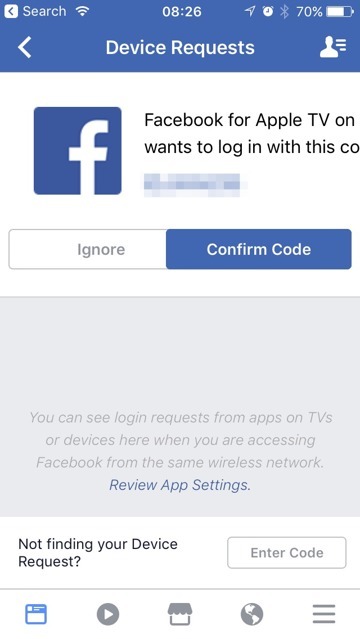 The login process is simple. A code is presented on the Apple TV after download, with a corresponding code given to users through the mobile app, or through a browser session on a Mac. In our experience, the login process took less than 30 seconds. Some users closer to launch time on Tuesday initially reported different codes, but quitting an re-launching the Apple TV app seems to rectify that problem. 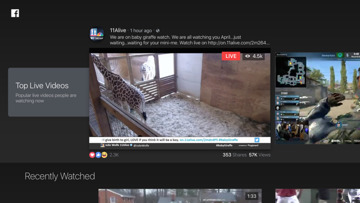 Users are taken to a landing page occupied by four main "channels" —"Shared by Friends," "Following," "Top Live Videos" and "Recently Watched." The sources of the provided videos should be obvious, based on the titles. Select your category, scroll through the videos, and hit the Siri Remote main button to start the video. 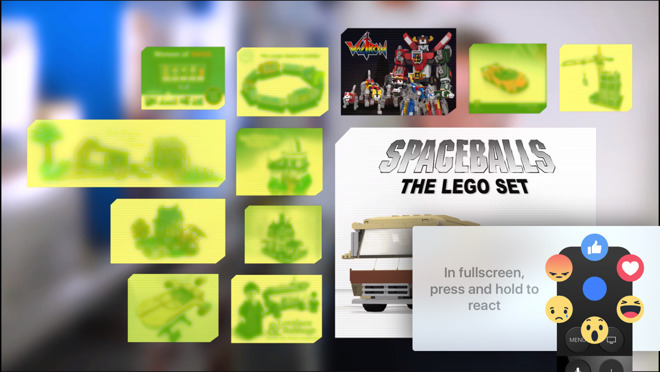 To attach a "like" to a playing video, a long press on the Siri Remote main button brings up a wheel with the various kinds of likes available for selection. A swipe up on a video pops up a list of related content, associated with the video being watched. Swiping up a second time pulls up a menu with more info on the selected video, an option to save the video to your own feed, and the ability to display available captions, comments, and reactions to the video. 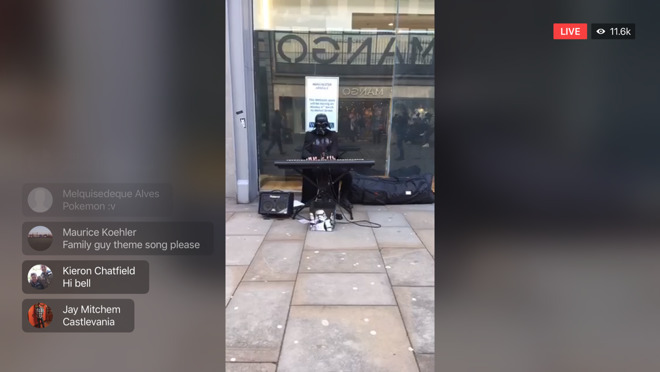 By default, video actively being streamed live pops up Facebook user's comments on left hand side of the running video. These appear to be uncensored comments, so if there are watchers sensitive to salty language present, be mindful! 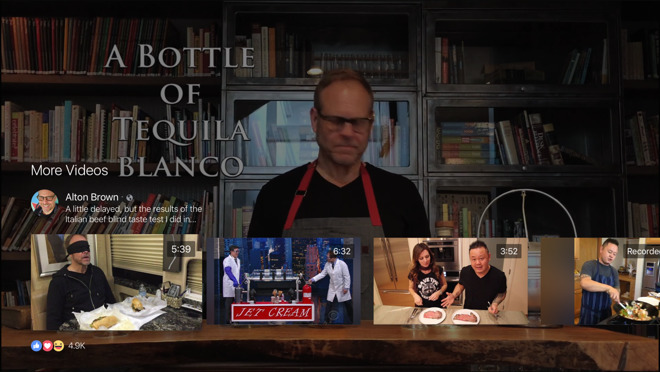 In our testing, Facebook's Video app works well, and wasn't impaired by lengthy buffering. 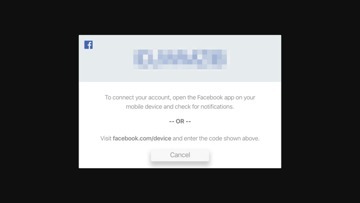 However as far as quality goes, what you see is restricted by how and when the video was sent to Facebook. Videos specifically crafted for HD are the best, and "shaky-cam" videos won't be improved by the app. Also, while the app is ad-free for now, there are no guarantees that it will stay that way —and the insertion of ads which are sometimes problematic in themselves may "gum up the works" from time to time, so to speak. Until that day comes, though, the app is a good salve for Facebook junkies looking to binge on videos from the couch, using the Apple TV.